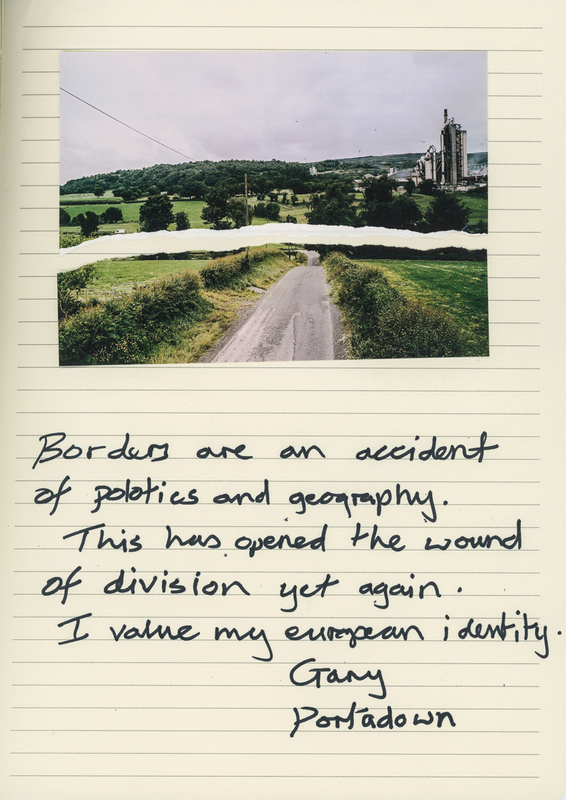 Photographer Tristan Poyser spent two years travelling and photographing the border in a time of uncertainty following the invocation of Article 50 in March 2017. 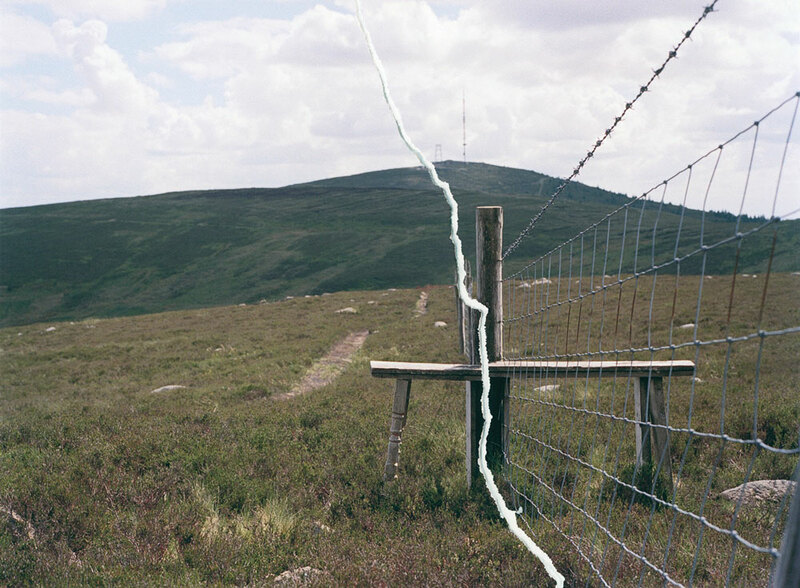 Describing the border as “an imaginary boundary”, Poyser’s work, exhibited by Belfast Exposed until 27 April, highlights the materiality of the border through a physical tear “making the invisible, visible”. 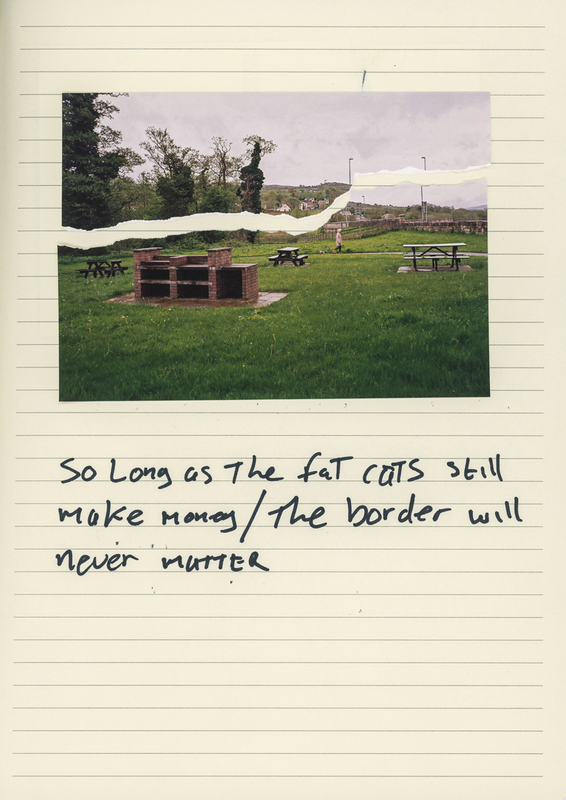 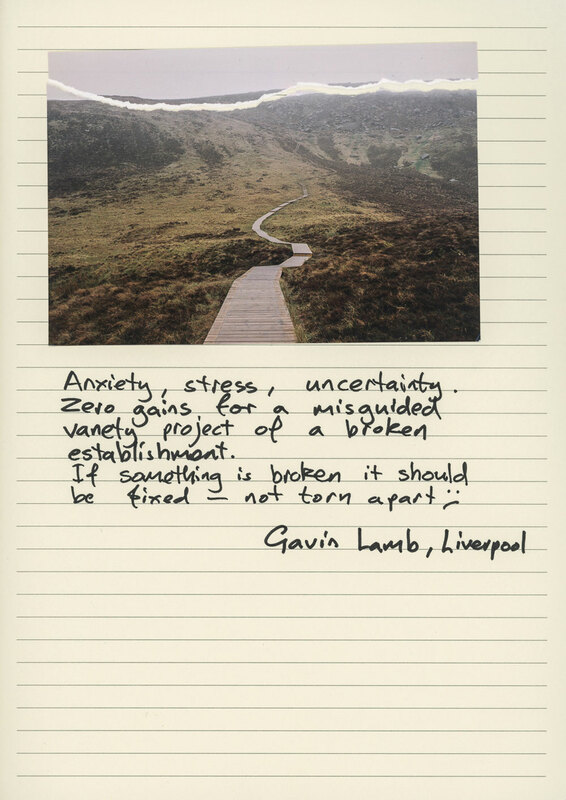 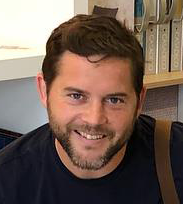 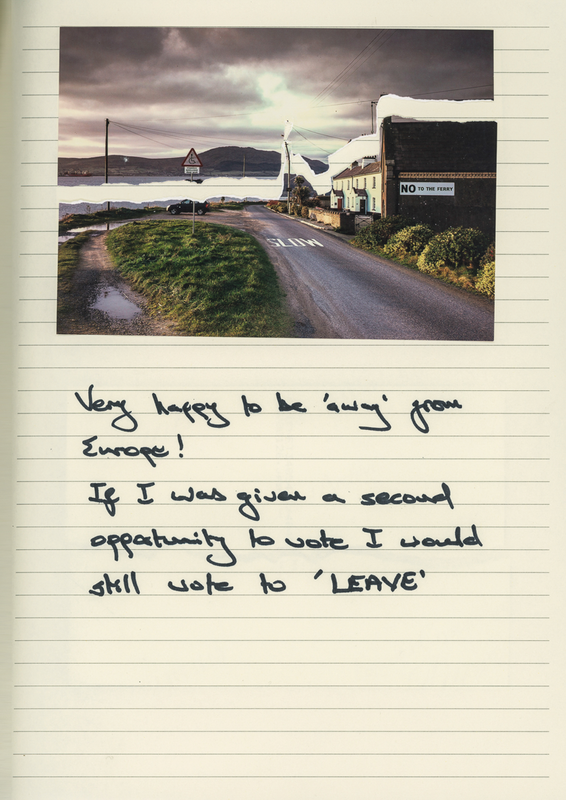 As part of the exhibition, Poyser also invited the public to consider the impact of their referendum vote, on those living on the Irish border and how it will impact the future. 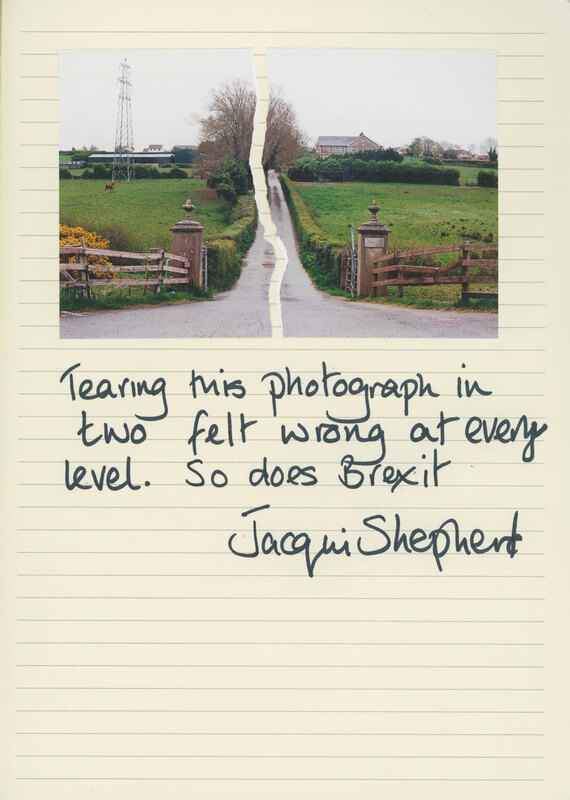 He asked them to tear the photograph where they think the border is and write a comment about the two-year period of uncertainty and Brexit. 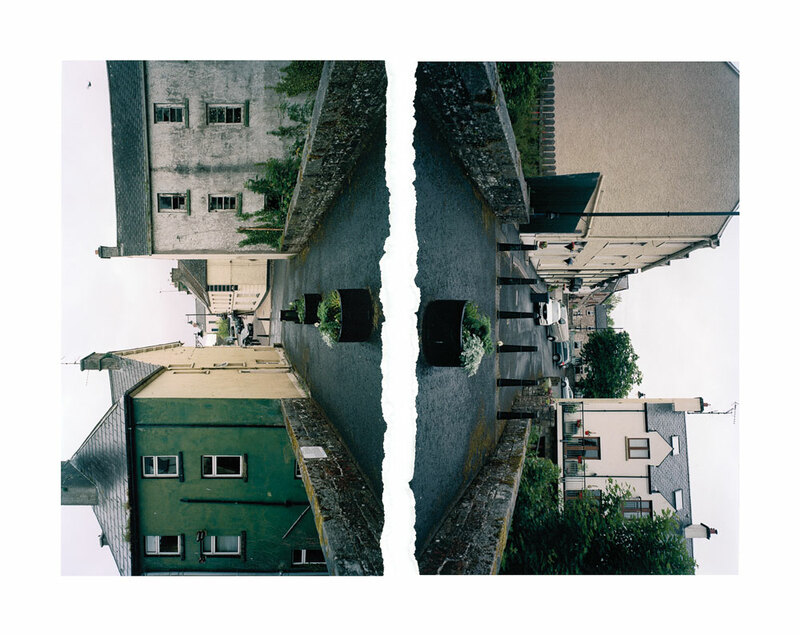 Bridge over the River Fane. 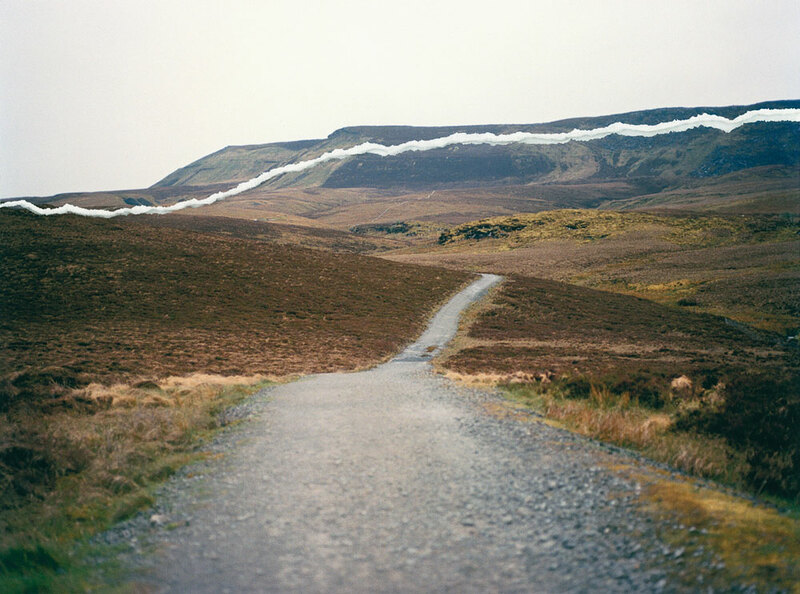 Tristan Poyser is an active board member of the Redeye Photography Networkand tutor at the British Academy of Photography, Poyser’s projects explore the interactions of people with the landscape and legacy left, both as physical and cultural scars. 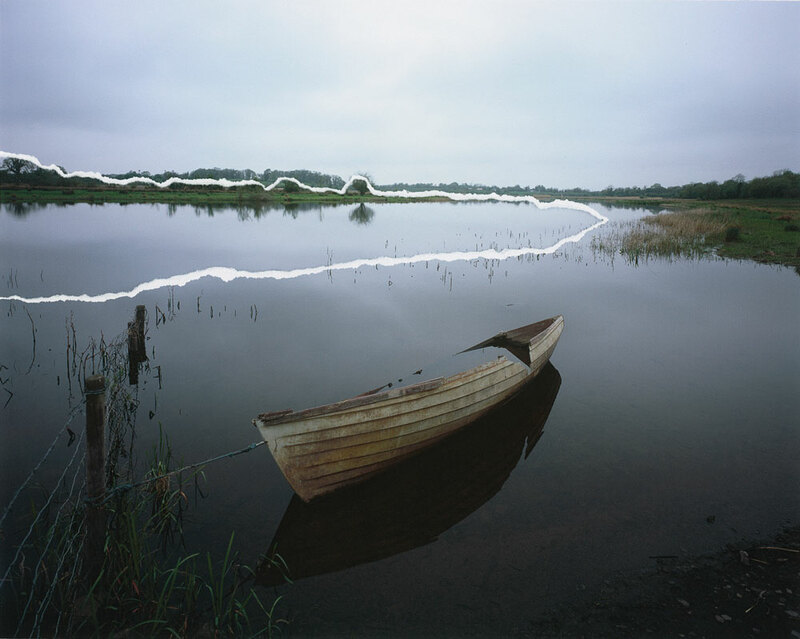 Sunken boat moored to barb wire fence on the River Erne, County Fermanagh. 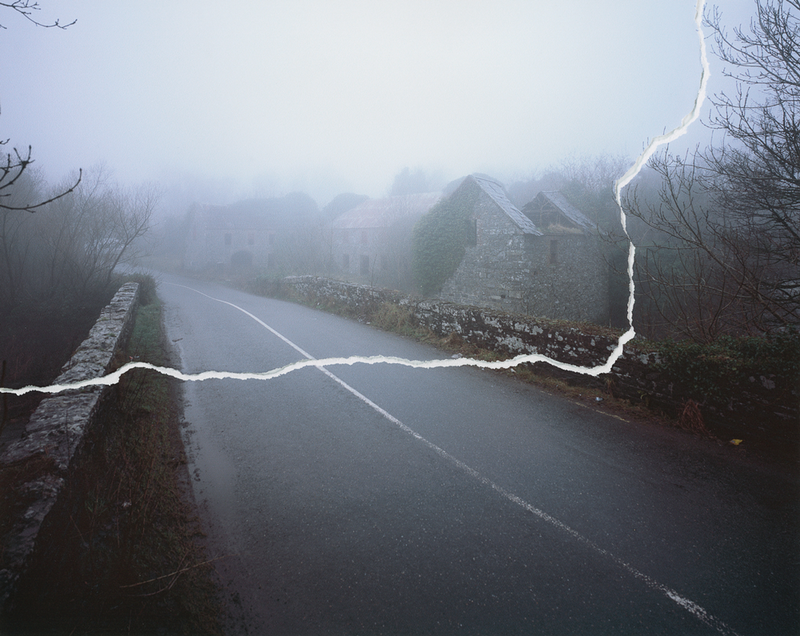 Torn Town: The border follows the Termon River splitting the village of Pettigo. 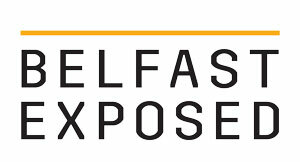 The part of the town in Northern Ireland is officially called Tullyhommon. 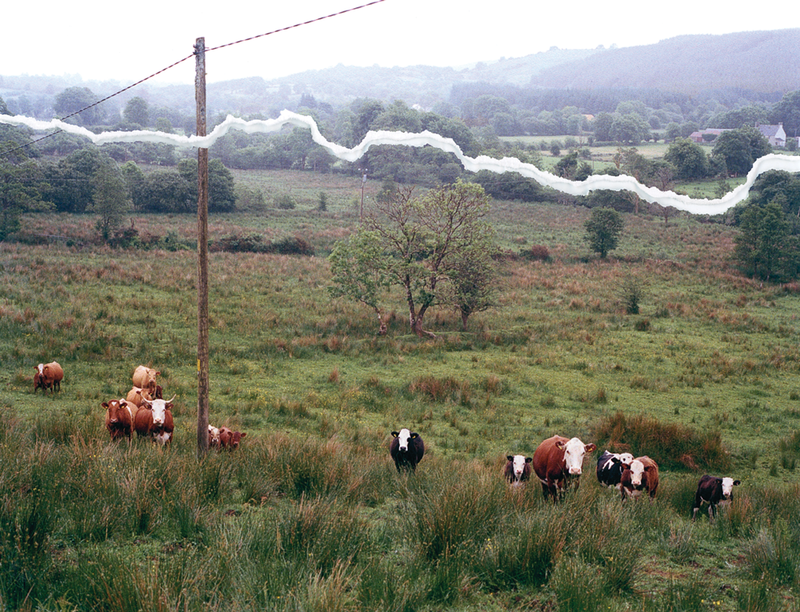 County Donegal/County Fermanagh.